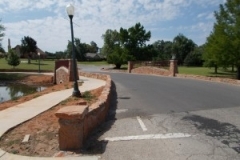 Community park; Annual Festival of Lights held from Thanksgiving to New Year’s. 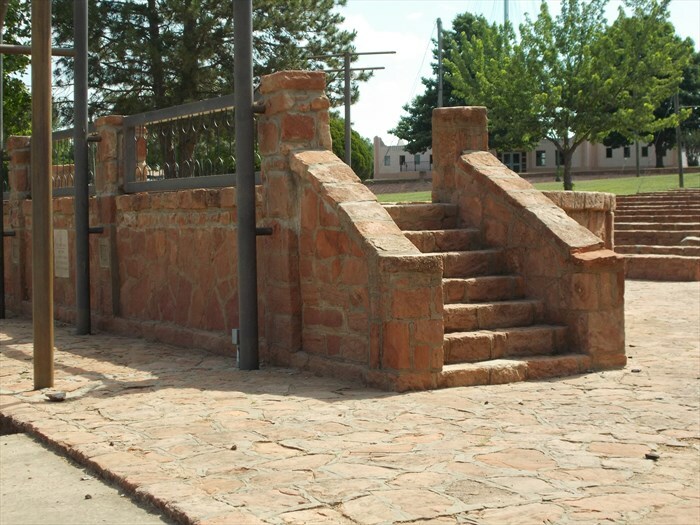 “In the late 1800s, the Shannon Springs artesian well was used as a watering hole on the Chisholm Trail, bringing cattle from Texas to the railheads up north. 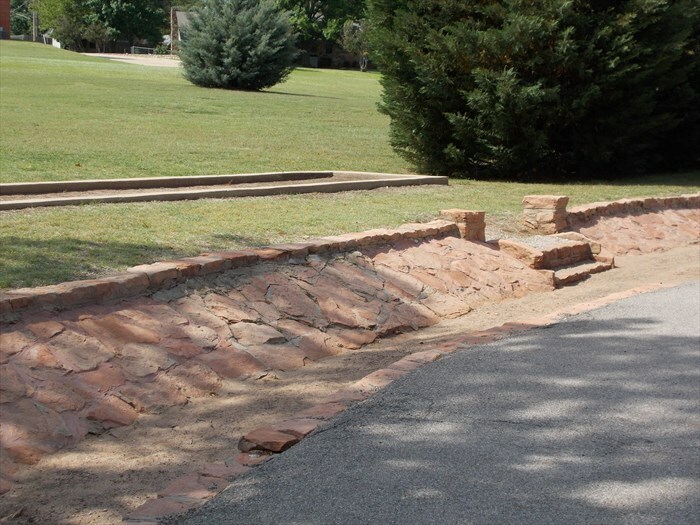 This park was established at the site of these springs, at least during the first years of the 1900s, and perhaps before that. 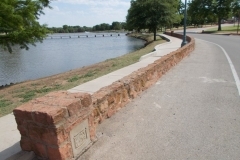 This is a 43-acre park with a very large lake, in which fishing is allowed. 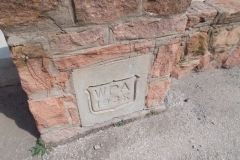 Evidence of the work of the WPA is seen everywhere. 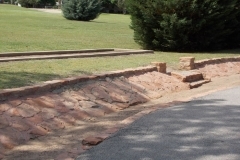 Low walls and drainage ditches made of native sandstone border the curving driveways. 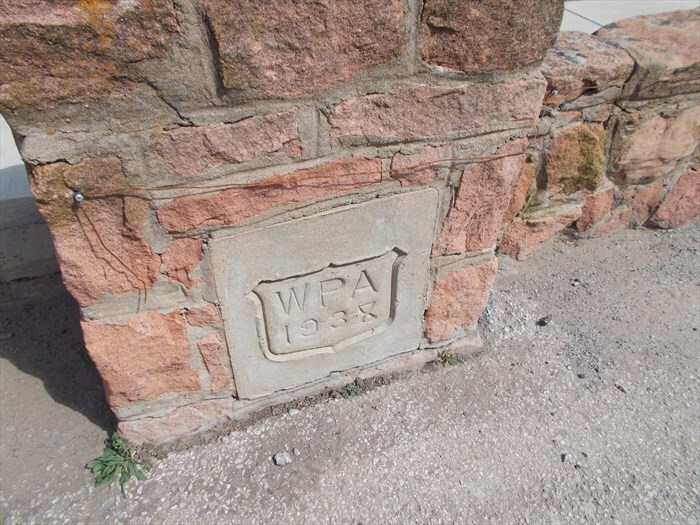 Occasional stone pillars bear the WPA engraving. 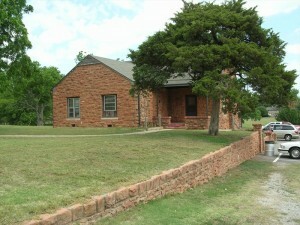 Work was done between 1936 and 1939. 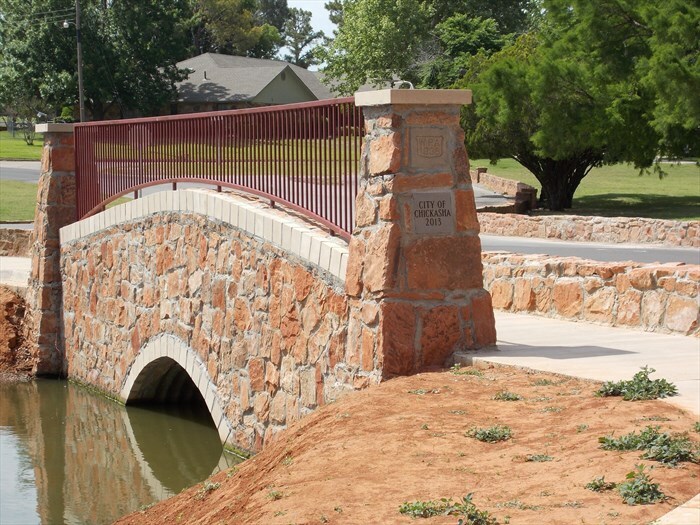 At the southwest end of the lake, a lovely stone bridge spans the water, which is still used today. 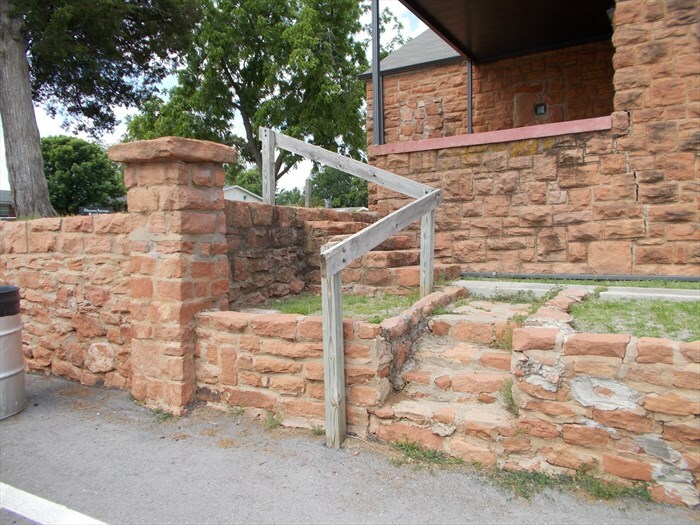 A native sandstone caretaker’s cottage, a bathhouse and a park warehouse, as well as a large amphitheater, are still in use today. 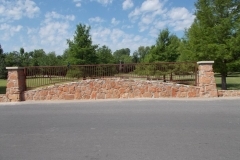 The layout, ground work, and stone structures provide an idyllic setting for rest and recreation, and well worth your visit. 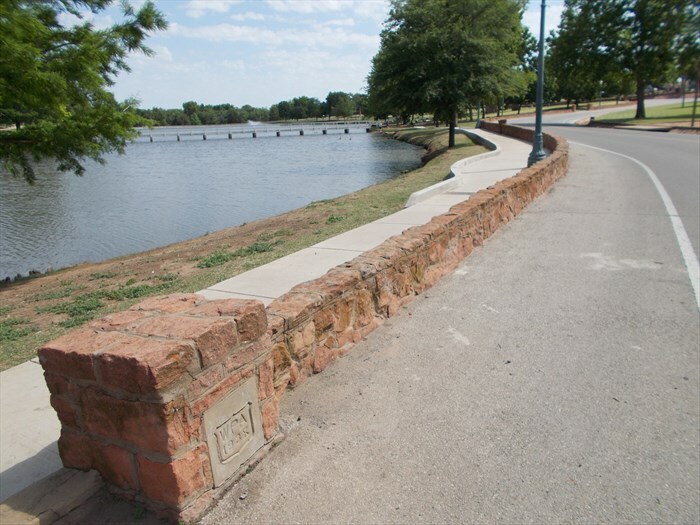 “Shannon Springs Park is a large recreational area, constructed also by the [Works Progress Administration] WPA. 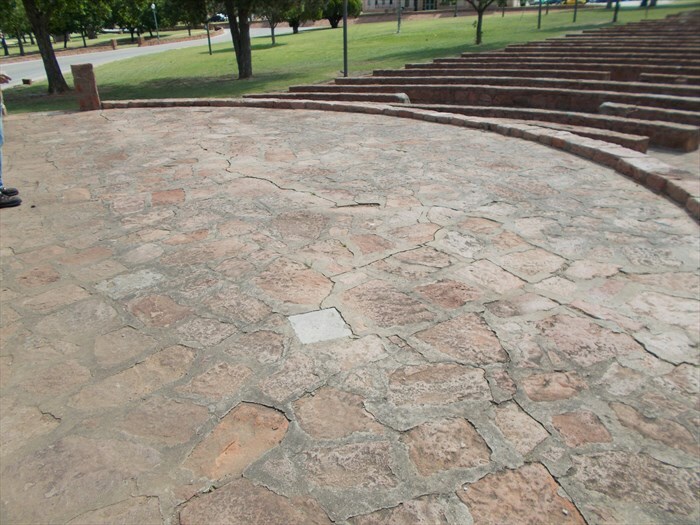 With its ponds, playground, sports areas,and amphitheater, it is the center of many activities throughout the year. The large Christmas Light display in December brings tens of thousands. 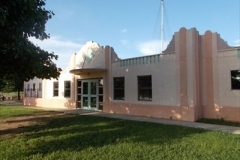 “The original swimming pool is gone, but the WPA-constructed bathhouse stands today. 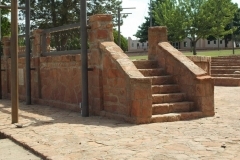 Built in 1935 with an appropriation of $11,479, this is a one-story concrete block building, with a Spanish Mission flavor. 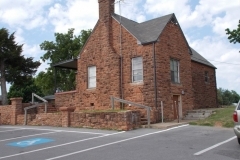 In 1987 when the building was added to the Oklahoma Landmark Database, the building was boarded up and in disrepair. Today, it has been refurbished, is painted pink and white, and is used as a recreation center and community building. 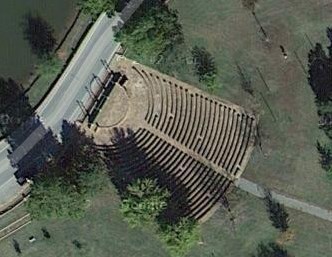 “Shannon Springs Park dates back to the early 1900s, but in the mid-1930s, the WPA constructed many things in the park, including this lovely amphitheater. 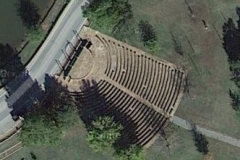 The seats are constructed of native sandstone, in two sections, with a center and outside aisles. 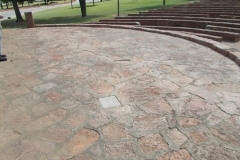 The semi-circular stage area is also made of stone. 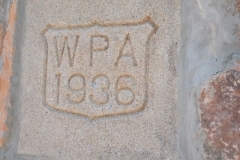 A WPA shield in concrete showing the year 1939 is located on the back side of the stage area, and numerous shields have been engraved in the concrete walkways. 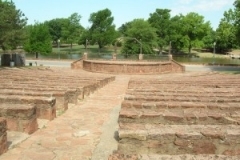 The amphitheater is still actively in use today, and can be rented for an event by contacting the City of Chickasha. 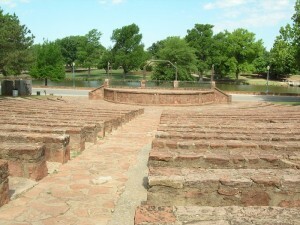 It is used for concerts, and also an Easter morning celebration service. 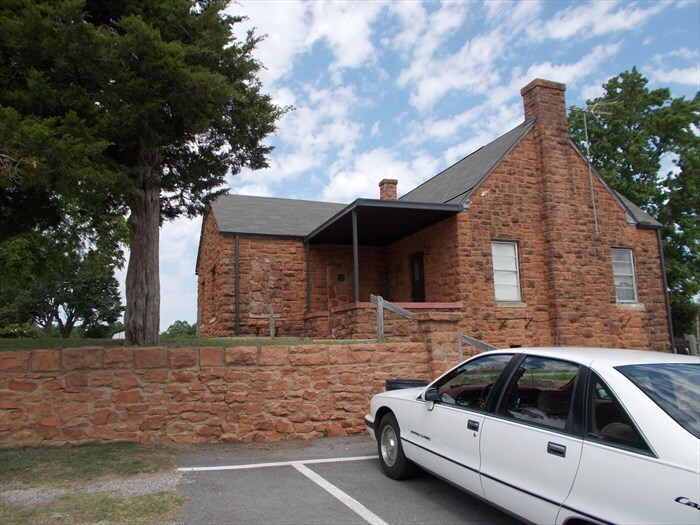 “The caretaker’s house is a one-story native sandstone building, with a steep gable roof with reverse gables on the north and south. 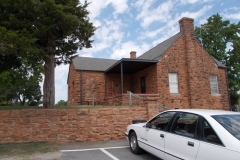 The entrance is on the southeast corner and has a covered porch. 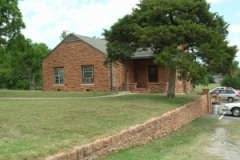 The house stands higher than the parking area, and has a low stone wall and stone steps leading to the house level. 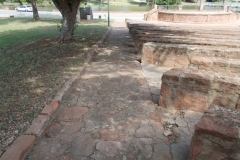 On the north side, a metal door leads to an area beneath the ground floor of the home. This area has no windows. The two-over-two windows in the main house have been replaced with aluminum framing. 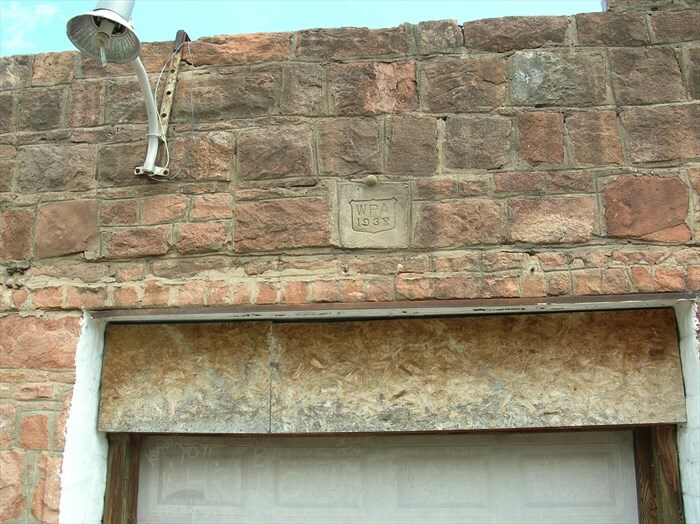 Several years ago, the building was used as a VFW post, but we saw no evidence currently of that use. 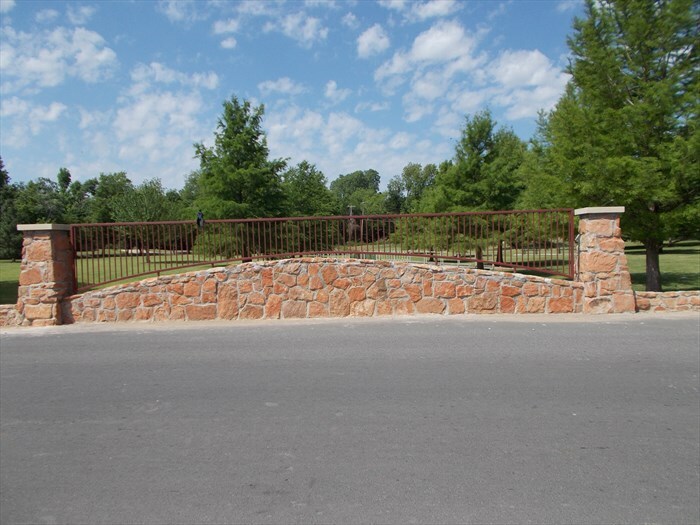 “During the mid-1930s, the WPA constructed many items in Shannon Springs Park, including walls and drainage ditches, a caretaker’s cottage and bathhouse, an amphitheater and this beautiful stone bridge. 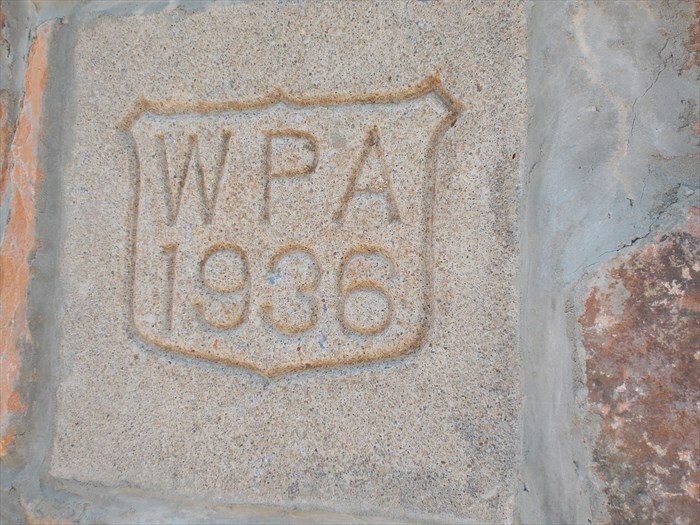 A concrete WPA shield shows the date 1936. 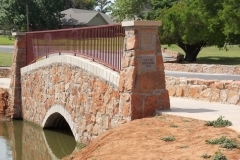 The bridge crosses the park lake and has both pedestrian and vehicle access. 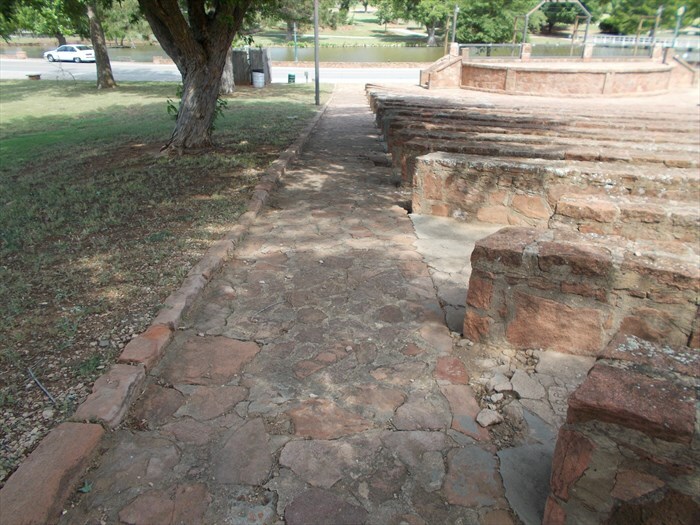 Stone pillars rise at each end on both sides of the bridge. 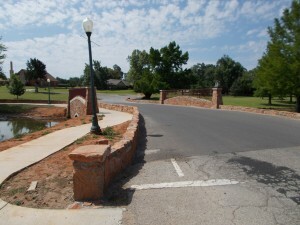 The bridge has a curved top with a decorative iron railing. The view of this bridge from across the lake, with the trees framing it, and geese and ducks enjoying the scenery, is a beautiful sight. 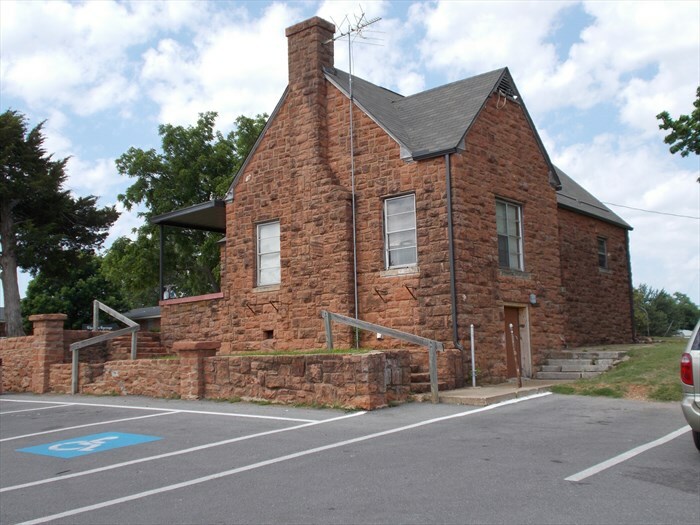 “This is a rectangular native stone building, with no windows. 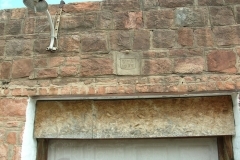 Two graduated rows of stone are added at the roof line on each corner. On the east side of the front of the building, as large opening which once had a metal sliding door, has been fitted with an overhead door. 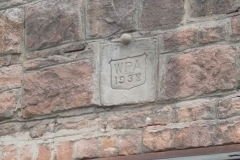 Above the door and on the upper wall on each end, is a concrete inset engraved “WPA 1938″.